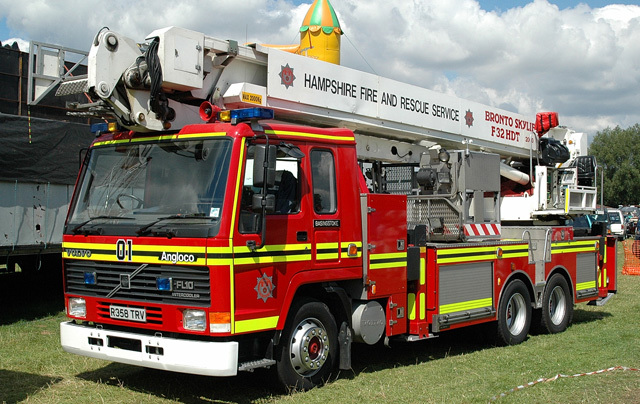 A nice looking Volvo FL10 ALP from the Hampshire Fire and Rescue service. On top you can find a Bronto Skylift F32HDT boom. This appliance is based at tee Basingstoke fire station. Added by Rich(larbert fire cadets) on 21 October 2008.